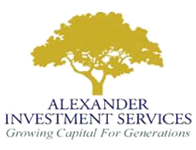 At Alexander, we consult regularly with you to ascertain your investment goals and set a course toward a comfortable retirement for you. In general, retirement income may consist of: (1) your IRA or other qualified retirement account; (2) other savings or investments; (3) Social Security; and/or (4) your pension, if any. We will work with you to optimize investment returns, while balancing risk with rewards. Careful investment management may add years to your retirement cash flows and contribute to your security in your golden years. Our approach to investment screening and our attention to asset allocation help to insure a smoother ride for your accounts. Each month, we review mutual and exchange-traded fund data against our propriety investment criteria. From this process, we seek to deliver to you, our client, best-in-class investment management. At Alexander, you benefit from our experience and expertise. Since 1965, we've offered and administered many types of retirement plans, including traditional pension plans, profit sharing plans, cash balance plans, 401(k), 403(b), 457, Savings Incentive Match Plans for Employees (SIMPLE), and Self-Employed Pensions (SEP-IRA), among others. We can deliver all your investment management needs, as well as provide all your recordkeeping and ERISA compliance needs for retirement plan administration. You keep more money in your pocket due to our affordable rates for retirement plan administration and investment management. You benefit from local accountability when your questions need answers. We are conveniently located in Louisville and Harlan, with clients throughout Kentucky, Indiana, Ohio, and Tennessee. You have the assurance of knowing the location of your retirement plan dollars, because we use an independent custodian to hold your investments, enabling you with 24/7 online electronic access. You may continue working with trusted providers through our flexible service model that enables a customized retirement plan solution for you.